Following the introduction of Western physical culture into China, most of its traditional sports were kept alive during the Modern Period. Among these were the martial art of wushu, daoyin exercises, various chess games, wresting, the dragon-boat rowing and polo. They developed in combination with the imported sports and with reference to their methods of competition, thus forming a physical culture in which the old met the new and the East met the West. Huo Yuanjia (1857-1910) and the apparatus he used in wushu training—a seven-section whip and a stone padlock for weighlifting. An advocate of martial arts as a means to make the nation strong, he founded the Jingwu Academy in Shanghai—the first of its kind in China—which developed into a sports association. 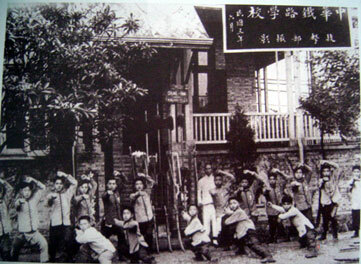 Wushu masters were sent by Jingwu Academy to teach at many schools, including Zhonghua Railway School in Shanghai (Photo taken in 1916). Zhang Zhijiang(1882-1969,left picture),founder of the Central Wushu Academy,which organized the first wushu contest in October 1928,Picture above shows the opening ceremony. 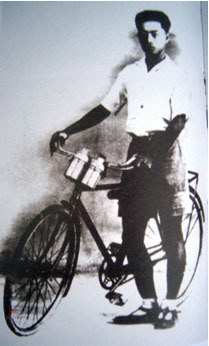 Pan Deming traveled around the world on foot and bike in seven years from June 1930 to June 1937. 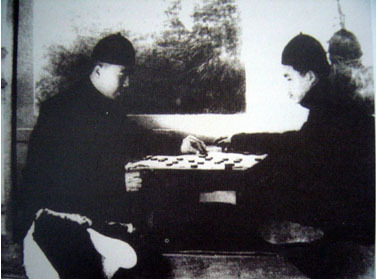 The Chinese-style chess of xiangqi has enjoyed undecayed popularity from generation to generation. 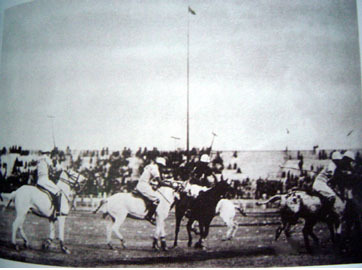 As a favorite sport in the army, polo aroused great interest at the Sixth National Games held in Shanghai in 1935. 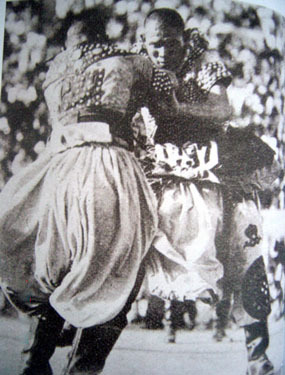 Mongolian-style wrestling as demonstrated at the Sixth National Games held in Shanghai in 1935.